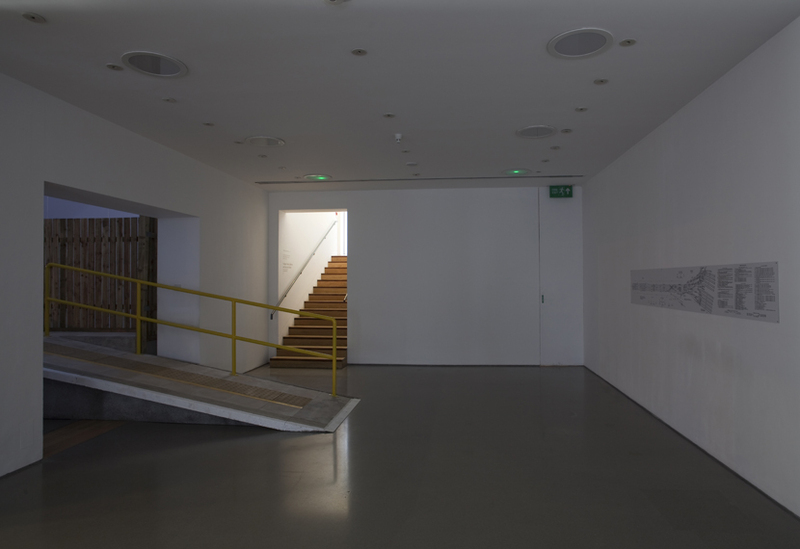 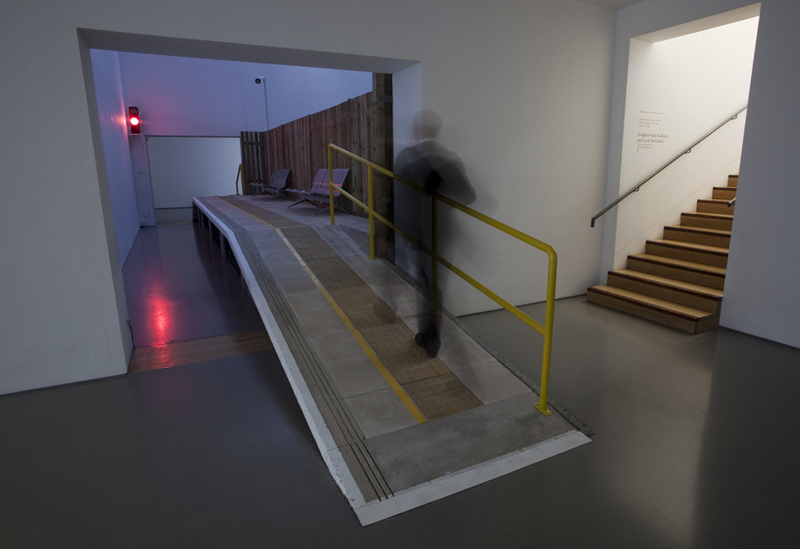 Working in collaboration with the artist and gallery, we constructed a scenic railway platform that runs right through the gallery space, in what was described as their ‘most radical architectural intervention to date’. 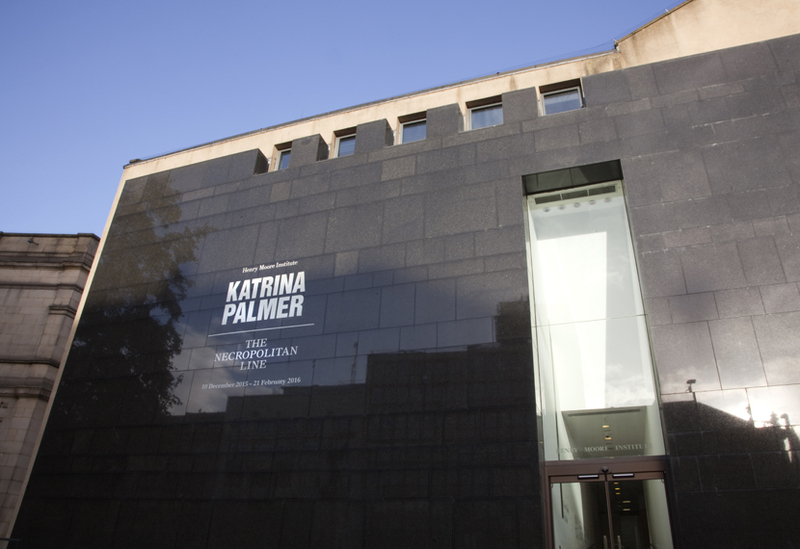 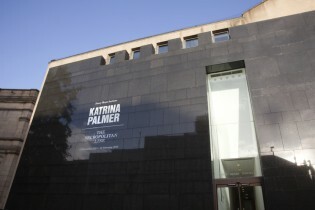 Katrina Palmer’s installation explores the unknown and unmarked aspects of 19th century death in London, in particular, the London Necropolis Railway which once linked Waterloo with Brookwood Cemetery. 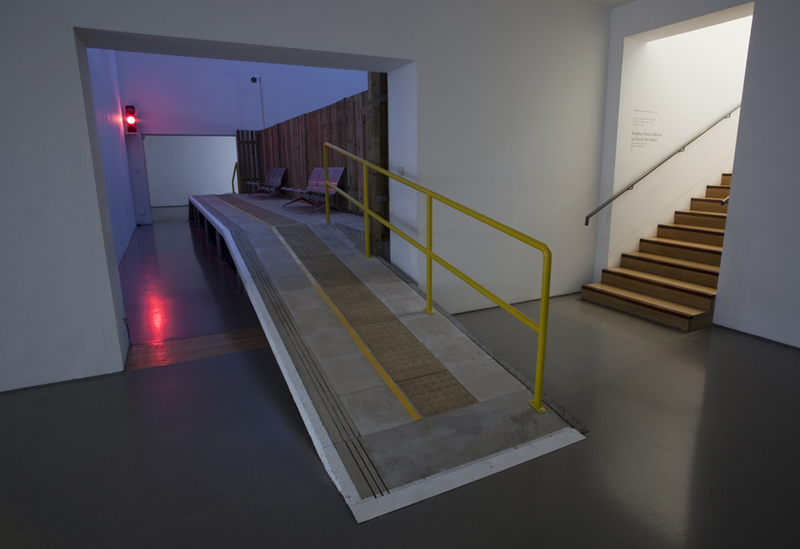 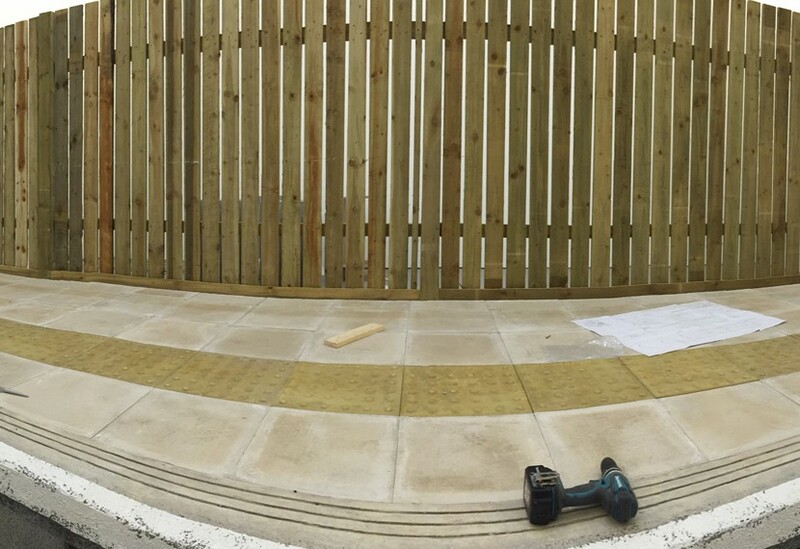 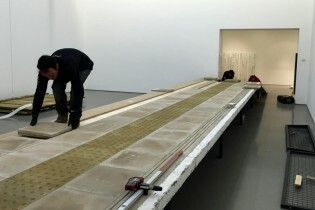 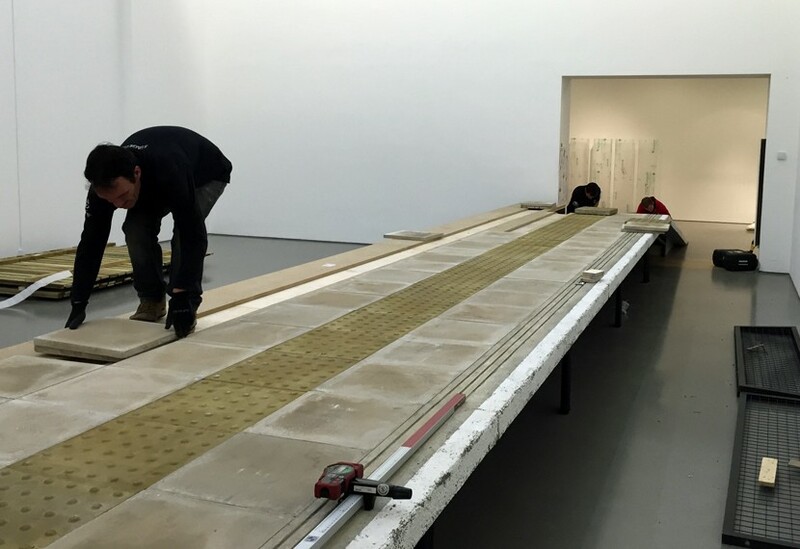 We used stock staging units to construct the platform base, adding a bespoke ramp and treads. 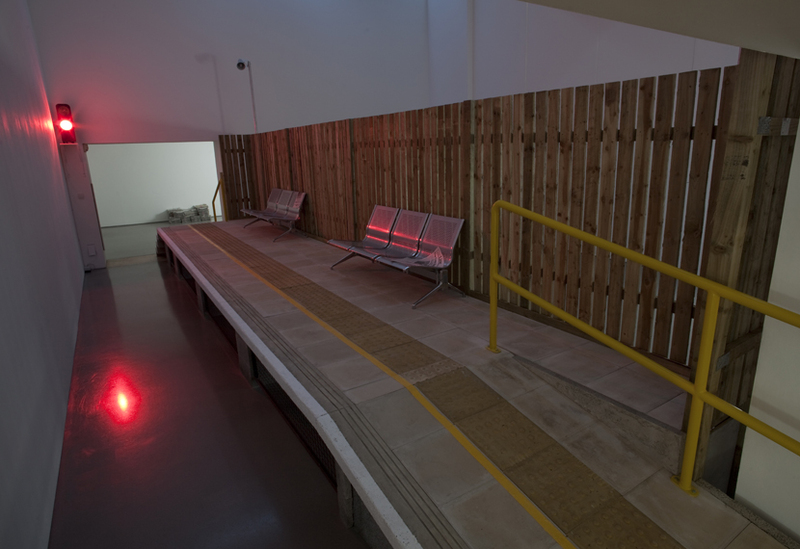 Real paving was used to provide a fully authentic feel underfoot, while a textured medium was used to accurately replicate the concrete of the platform and tread edging. 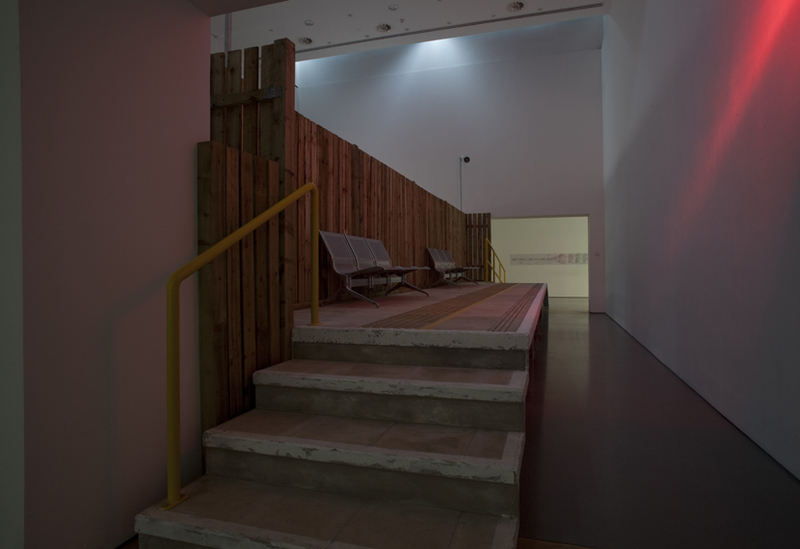 Fencing, yellow railings and painted white lines all added to the authenticity of the visitor experience as they explored the exhibition’s eerie treatment of the themes of death and decay.